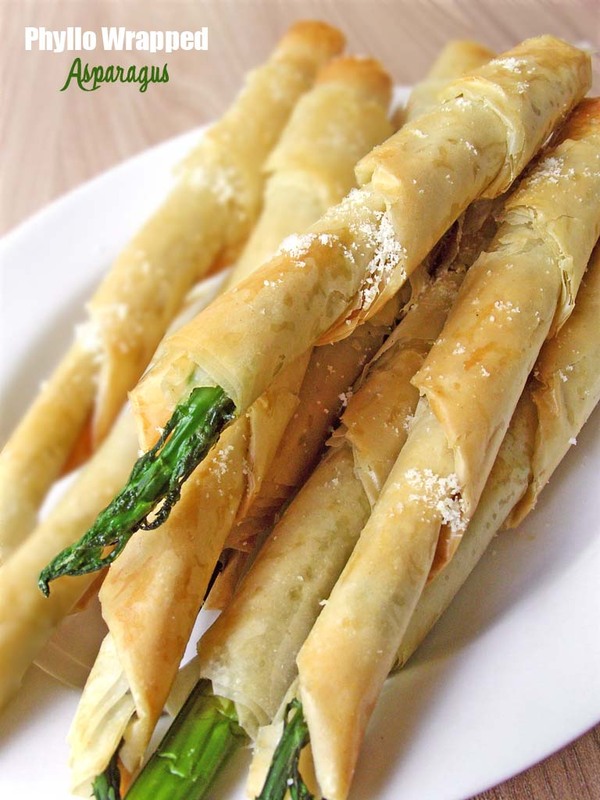 Fancy-looking and festive, these crispy spears will make a veggie lover out of anyone. 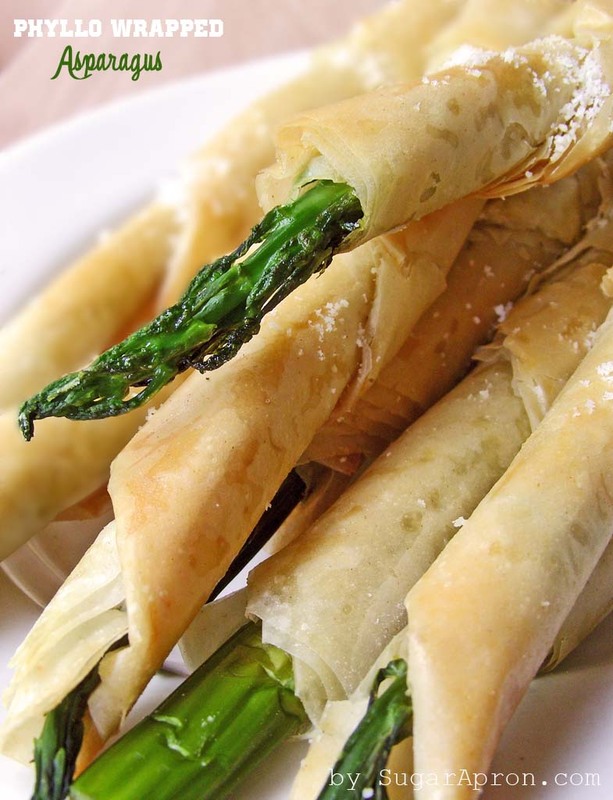 Even someone who avoids vegetables will like asparagus if it is wrapped in phyllo pastry dough, this flaky pastry is a wonderful thing, it makes the asparagus easy to pick up and eat with your fingers. If you’re not familiar, it’s basically paper thin sheets of unleavened flour dough. A bit time consuming, but it’s worth it in the end. Furthermore, person who generally avoids veges might just eat more asparagus than you planned…so, so if you make this recipe, make plenty. Nice job. Like what you do.